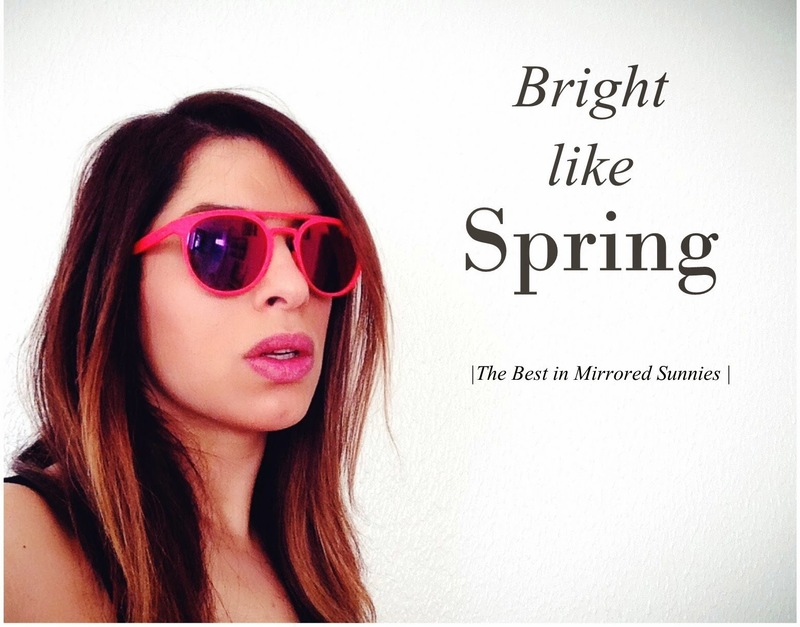 Spring and summer are the best times to wear mirrored sunnies, a trend that doesn't seem to be going anywhere anytime soon. 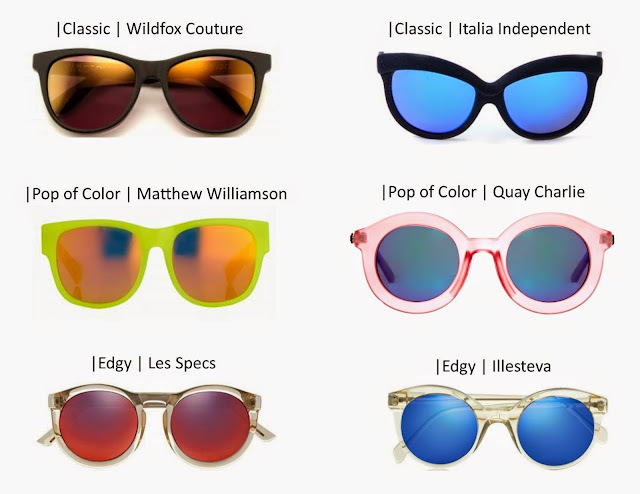 I have gathered what I find to be the coolest pairs for you to wear this season, I have to say I would like them all. I selected the Blue x Orange lenses as I find them to be the ones that stand out the best, but any mirrored sunnies will do the trick of brightening up your look.